which progressive structure due to different layers of paper. This high quality range consists of the said layers and a final layer of synthetic polyester filter combining fineness of filtration with retention capacity and high mechanical strength. 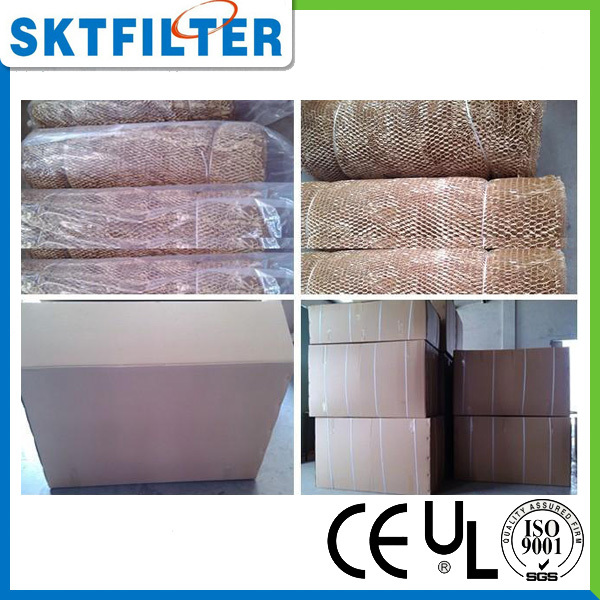 The high degree of efficiency of these filters makes possible a considerable reduction of dry residue emissions into the atmosphere, thus contributing to the preservation of the environment. 5 layers + 1 synth,/1.15, 0.5m. New environmental protection product. It makes the spray-paint rid of water, no pollution. Principle: base on the inertial separation principle. Force the load flow change the direction many times so that the particles which heavier than the air will be absorbed, and the air will keeping moving forward. When air get through the holes freely, the particles will be absorbed on the folded area till it is saturated. ·The design is good for the distribution of the speed. 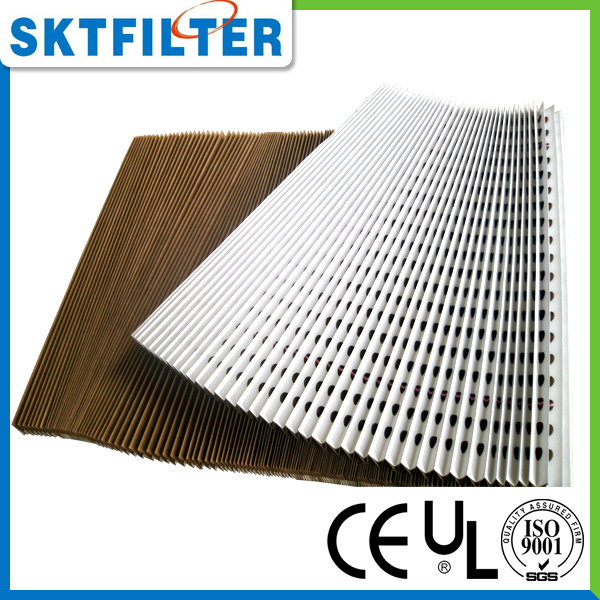 ·Application: filter the particulars of the solid and liquid in the air, and reach the uniform flow effect.